Sarah Horton is a consultant for strategic planning for websites and web applications. She also does accessibility and usability reviews. 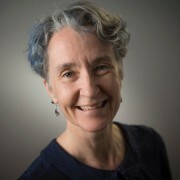 Sarah started her career in interaction design in 1991 at the Yale Center for Advanced Instructional Media, creating award-winning interactive instructional software. She was an instructional technologist at Dartmouth College for 11 years before becoming director of web strategy and design. As director, she was responsible for planning and developing Dartmouth’s digital environment, and she led a team of user-experience professionals responsible for web and media design, development, and production. More recently, Sarah was Web Strategy Project Lead at Harvard University, responsible for strategy and user experience design for the Harvard Web Publishing Initiative. Sarah is currently UX Strategy Lead with The Paciello Group. Sarah is co-author with Patrick Lynch of Web Style Guide, now in its third edition and translated into at least eight languages. She also wrote Web Teaching Guide, which in 2000 won the American Association of Publishers award for best book in computer science. Her third book, Access by Design, combines the disciplines of universal design, accessibility, and usability into guidelines for designing websites that are universally usable. Her most recent book, A Web For Everyone: Designing Accessible User Experiences, with Whitney Quesenbery, was published in January 2014 by Rosenfeld Media. Sarah has more than 50 publications and 40 presentations to her name. Her publication and presentation credits include the New York Times, Peachpit, Boxes and Arrows, Digital Web Magazine, the International Cross-Disciplinary Workshop on Web Accessibility (W4A), WebVisions, World Usability Day, and the Human-Computer Interaction Laboratory Annual Symposium.